Our Standing O Camp is exciting, challenging and fun! Join us as we explore various elements of music, dance and acting. No experience necessary! A typical day includes large and small group instruction, one on one direction, and game time. Students should bring a sack lunch and water bottle. Friday is Pizza Day for those who wish to participate ($5)! Everyone receives a camp t-shirt. This high intensity camp will stretch you as a singer, dancer and actor while showcasing some of the best musicals to hit the Broadway stage and the Silver Screen! These pint sized campers will have a Broadway experience! 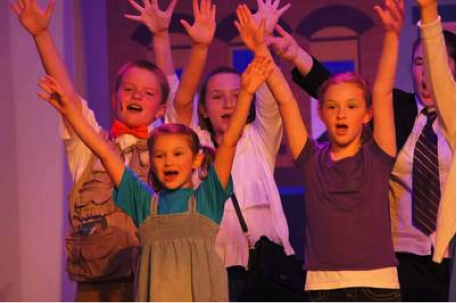 Each day they will sing, dance, and act their way through some of the best musicals for kids. Campers will also participate in a daily craft, games, and our awesome water day! Follow our YouTube page to see updates as they are posted. When you fill out the online registration form (link in class description) you may then submit payment online or by mail. Payments must be received within 7 days in order to guarantee your spot or prior to the first class if registering during the final week. Registration closes the night prior to the first day of class at 9pm. SOTA reserves the right to close class at an earlier date if the class fills. 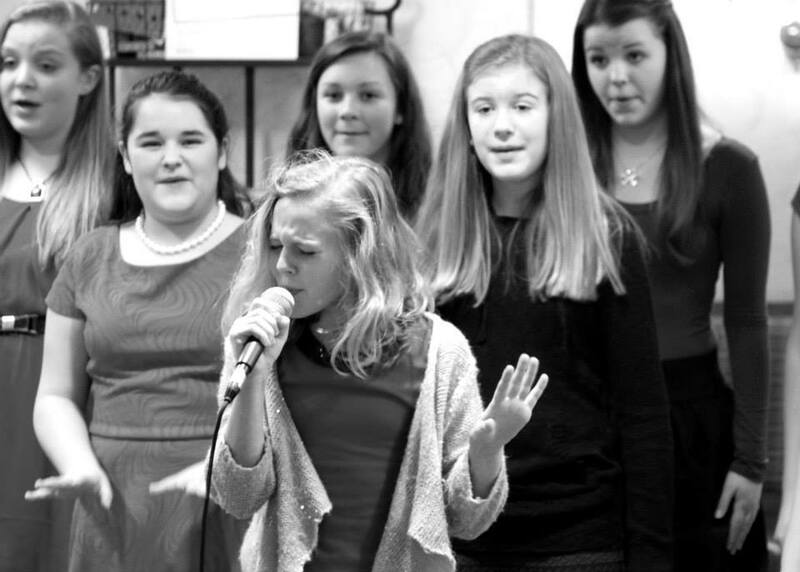 In this class, students will learn basic vocal technique, pitch/rhythm, and movement. Students will participate in class group numbers as well as an all class number to be performed in a concert. Additionally, students will participate in recording a song/music video. Solos may be given but are not a priority in this class. Audition videos should be sent no later than 3/1/19. See below for details. Students in this class will be divided into beginner, intermediate or advanced groups and placed in solo/ensemble numbers based on age and ability presented through auditions. AUDITIONS for placement: What should you prepare? A video audition of you singing 1 chorus of a song in any style to be sung a cappella or with a karaoke track (no background vocals). Send your video or a link to your video to Erin@ standingotheatre.com no later than 3/1/19. Show us personality in addition to vocal ability! During our first class, some students may be asked to sing a portion of music that we teach them at that time. Beginner/Intermediate: These students will learn about healthy vocal techniques, basic harmonization, and learn to follow and read sheet music. Students will participate in class group numbers as well as an all class number to be performed in a concert. Some students may receive solos based on their audition. Students are expected to spend time at home working on music and come to class with a basic knowledge of their songs. Additionally, students will participate in recording a song/music video. Advanced: This group will work toward developing healthy vocal techniques, learn to read sheet music, work on difficult harmonies/a cappella music, and sing back up to solo numbers as needed. Students will participate in class group numbers as well as an all class number to be performed in a concert. Some students will receive solos based on their audition. Students are expected to spend time at home working on music and come to class with a good knowledge of their songs as opposed to being taught all music during class time. Additionally, students will participate in recording a song/music video. Payments must be received within 7 days in order to guarantee your spot or prior to Audition Day if registering during the final week. Registration closes the night prior to the first day of class/Audition Day at 9pm. All students are cast once registered. No cuts! 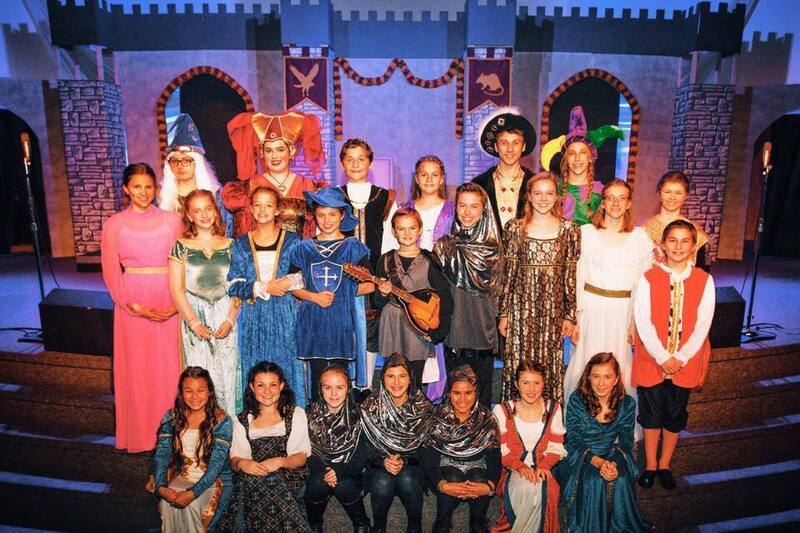 Every cast member will receive a minimum of a line or solo and have lots of stage time! Audition Day students will read from the script (young readers will "parrot" lines). No prepared auditions necessary. All info will be taught during class hours. *Registration and Payment is due prior to the first class/Audition Day and no refunds are given after the first class. Class size is limited to 40 students on a first come first served basis. All are cast upon registration and all receive a minimum of a line or solo. *Auditions are run similar to callbacks. All students attend the full time. Students will learn musical excerpts to sing for the production team, read for various roles from the script, and learn and dance combination. We recommend familiarizing yourself with the show beforehand by researching the music and characters so you can be better prepared! 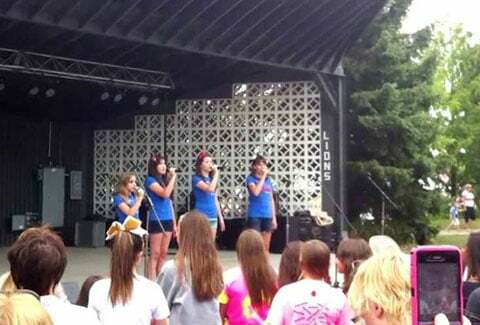 Students work on healthy vocal techniques and stage performance. Two recitals are held per year and opportunities to perform throughout the community are provided and encouraged. Lessons are provided at the instructor's home on a weekly basis. Students interested in learning piano are embarking on a fantastic journey. We welcome students of all ages. Recitals are held twice a year. Lessons are provided at the instructor's home on a weekly basis. Work on monologues, study scenes, improve your auditions, develop a character, explore physicality, and make creative choices to bring a character to life! Lessons are provided at the instructor's home on a weekly basis. Call or email to set up lessons.